How workers and peasants are constructed in public discourses depends on the specific class relationship between the labour and the political/social elites of the time. If we take a long historical view, we can see a dramatic transformation in the ways in which Chinese workers and peasants are imagined, talked about, and represented in media and also in the broader popular discourse. For instance, as early as the 1920s, the Chinese Communist Party (CCP) introduced Marxist-Leninist notions of class struggle and actively promoted awareness of exploitation among workers. Its political agenda at this time was to mobilise China’s peasants and workers to overthrow the old regime (Perry 2012). To raise consciousness, the CCP organised workers to give regular public speeches condemning the evils of private property and the class system, and extolling the virtue of overthrowing exploiters and oppressors. As the CCP’s power base grew, cultural workers in journalism, arts, literature, theatre, and all other domains of cultural production continued to promote the discourse of class struggle. Mao Zedong made it clear that in a class-based society, class differences must trump all other considerations. Combining Leninist ideas of mobilisation with Chinese notions of collectivist cooperation, the Party also actively experimented with new ways of mobilising the rural population for purposes of transforming social structures in its wartime headquarters in Yan’an in the 1930s and 1940s (Clark 2008). When the CCP founded the People’s Republic of China in 1949, it faced the enormous task of building not only a new national economy, but also a new working-class identity politics. China’s workers and peasants, previously imagined as being exploited and oppressed by landlords and capitalists, had to be reimagined so that they could identify with, and actively participate in, the socialist modernisation process (Sun 2015). Throughout the revolutionary period of the 1950s, 1960s, and 1970s, workers and peasants—the proletariat—were positioned as members of the most advanced forces of production. However, four decades of economic reforms and the embrace of a neoliberal economic order from the late 1970s to the present have seen a gradual loss of such elevated political status. As Guo Yingjie observes, ‘there is no denying that large sections of the working class have lost their privilege and joined the new poor since losing their “iron rice bowl” and becoming detached from the CCP’s historical mission’ (Guo 2008, 40). Lü Xinyu, a Marxist scholar in China, also notes that while Chinese workers and peasants used to be the political and moral backbone of socialist China, in recent decades they have well and truly become a ‘subaltern’ class (quoted in Zhao 2010). In contemporary China, the subaltern working class referred to by Lü consists mainly of rural migrant workers (nongmingong). In addition to a wide range of employment sectors—such as domestic work, service and hospitality, small businesses, and rubbish collection—the manufacturing sector and seasonal construction work make up the majority of the migrant labour force (Sun 2014). Class relations between rural migrant labourers and the urban middle class—a socio-economic elite group—have been profoundly reconfigured in the four decades of economic reforms. Consequently, the CCP has had to make necessary adjustments to its rhetoric on class discourse, necessitating—yet again—another cultural transformation. First, it had to eliminate the class struggle discourse. This meant acknowledging the reality of socio-economic stratification in China in the reform era, but proposing the doctrine of social harmony as a strategy for managing class inequality and conflict. Second, class consciousness had to be suppressed rather than cultivated. Instead of representing workers and peasants as the politically privileged class, now the middle classes are touted as being exemplary of preferred values, lifestyles, and behaviours in contemporary China. The social identity of the worker has also changed, along with the political, social, and economic meaning of work. Once upon a time, the term ‘worker’ (gongren) denoted dignity and ownership of the means of production, but workers are now widely described as dagong individuals, denoting casual labourers for hire in the capitalist labour market. Workers in the socialist era engaged in labour (laodong), which gave them pride and moral legitimacy. In contrast, workers today are referred to as nongmingong, meaning ‘peasant workers’. Nongmingong exist as cheap labour, which is either in excess or short supply, and are in constant need of self-improvement in order to make themselves qualified for capitalist production (Yan 2008). Whereas in the socialist era workers were described as the ‘masters of the nation’ (guojia de zhuren), they have now become, on the one hand, the occasional recipients of urban and middle-class sympathy and compassion, and on the other hand, the objects of their discrimination and contempt (Sun 2009). Rural migrant workers in the construction sector face a widespread and entrenched problem of wage arrears, whereby workers routinely experience non-payment, wage reduction, and denial of proper compensation for work-related injuries. A closer look at how urban mainstream media cover such issues provides some clues as to how the cultural politics of class changes over time. How should news media handle the grievances and disputes surrounding wages and other labour issues facing rural migrant workers? To some extent, this depends on whom is asked this question. From the point of view of the Party-state, media should function as a stabiliser, defusing social pressure. According to this view, media should devise a voice-sharing strategy designed to ameliorate social conflict and maintain stability. Others argue that for the sake of self-interest, powerful social groups may want to give some of their discursive space to weaker social groups, so that the latter can have channels to vent their discontent. Others again believe that media should exercise its power to give voice to disadvantaged people, since media has the power and responsibility to expose wrongdoings, mobilise public opinion, and put pressure on the powers that be. Of course, this takes courage, but—according to the proponents of this view—journalists must remember that they represent the conscience of society. One story is worth telling in this regard. On 7 December 2002, Huang, the wife of a rural migrant worker in Shenzhen, one of China’s earliest Special Economic Zones, climbed onto the top of a 30-metre-tall pole near her husband’s construction site. Her husband, Luo, had been injured while at work, but was too poor to afford the medical expenses and the company had refused to pay. In desperation, Luo’s wife wanted to kill herself. Passersby saw her and alerted the police; journalists rushed to the scene of the incident and extensively covered it. Rescue efforts were successful, and through the mediation of the local police, the company agreed to pay medical expenses upfront. This case was among the first of many incidents to come in following years, whereby aggrieved rural migrants have risked their lives to stage public spectacles in the hope of forcing the local authorities to take immediate action. From the point of view of rural migrant labourers, even though they have been told there is a legal channel to seek address, very often, they know all too well that they neither have the money nor time to pursue legal channels. The role of media in this specific incident was crucial but fraught. Following the incident, divergent opinions were published online, with some criticising the media for encouraging such ‘publicity stunts’, and others praising journalists for their social conscience (People’s Daily 2003). Sympathetic coverage of the plight of workers was frequent under the leadership of Hu Jintao and Wen Jiabao (2003–2013). When incidents such as the one cited above occurred, journalists would often turn up at the scene and, in many cases, mediate between individual migrants, the employers, police, and the local government. Furthermore, reporting of such incidents in the media had the effect of publicly shaming the offending company, as well as putting local authorities on notice. From the early 2000s onwards, attempts to resolve labour disputes through drastic measures—be it threatening to jump off buildings, blocking the government headquarters, or causing public spectacles in public spaces—have played out in many Chinese towns and cities. However, a closer look at how media responds to such incidents over the past two decades suggests that such sympathetic coverage was short-lived. Following the end of the Hu–Wen administration, the political mandate for stability maintenance (weiwen) has seen the juxtaposition of a number of different narrative frames. These include: the ‘social justice’ (shehui gongzheng) frame, i.e. giving voice to the plight of workers; the ‘social harmony’ (shehui hexie) frame, i.e. emphasising the importance of strategic appeasement in order to defuse social discontent; the ‘education and guidance’ (jiaoyu he yingdao) frame, i.e. chastising migrant labourers for their unlawful actions and urging them to seek ‘proper channels’ (zhengdang qudao); and finally, the ‘law and order’ (yifa banshi) frame, whereby the conduct of migrant workers or labour activists is quickly criminalised and their access to public representation through media—including social media—often denied. Despite its rhetoric of a ‘people-centred approach’ (yi ren wei ben), the current regime has leaned towards a more intolerant, oppressive position on dissenting voices, and has proven to be more than willing to resort to legal force for the purposes of containing, if not eradicating, labour activism. Middle-class media also oscillate between media-as-spokesperson for rural migrants and media-as-a-pressure valve, while all the time remaining susceptible to the vagaries of the Party-state’s mandate of legitimacy production and stability maintenance. Migrant workers seeking justice over wage arrears can be portrayed as deserving of compassion and sympathy on some occasions, while on other occasions they can be criticised for their ‘crazy’, ‘irrational’, and ‘ignorant’ tendencies to resort to extreme measures (Sun 2012). In the past decade or so, the arrival of digital media technologies, the ubiquitous use of mobile devices, and the spread of social media have afforded rural migrants a hitherto unavailable means and platform to express their political voice. As I have documented elsewhere (Sun 2014), the increasingly widespread affordability of the mini digital video camera has made it increasingly possible for rural migrants to document egregious labour practices on the part of employers. Technological developments from the late 1990s have enabled some rural migrants to become media activists. Nowadays, having access to QQ and WeChat—China’s main social media platforms—labour activists and workers can circulate poetry, fiction, blogs, photography, and other forms of creative work produced by themselves and about themselves. A small but growing number of migrant cultural activists are exploring effective ways to make creative use of digital media to participate in struggles for self-representation and debates on social inequality and citizenship. My own sustained interactions with more than a dozen NGO workers and labour activists in Beijing, Suzhou, and Shenzhen between 2004 and 2013 have convinced me that effective labour activism is becoming virtually synonymous with the effective harnessing of new media technologies. However, we must caution against technological-determinism, which assumes that technology has brought a perfect solution for rural migrants’ struggle for economic justice and political voice. While there is plenty of evidence pointing to the subaltern’s self-empowerment through social media and digital technologies, there is also plenty of contrary evidence suggesting that rural migrants’ embracing of the online and digital world does not necessarily lead to political empowerment (e.g. Wallis 2012). Similarly, for each instance where labour NGOs and grassroots advocates have been successful in mobilising subaltern consciousness through WeChat, microblogging, mobile phones, and other digital platforms, there also seems to be more instances pointing to the limitations of such online activism. Rural migrants and labour activists’ intention and motivation to engage media in struggles for voice, recognition, and economic compensation will continue as long as social and economic injustices exist, but the level of their success is, and will continue to be, determined by the political logic of the situation, and dictated by the imperative of stability maintenance. In view of the authorities’ current penchant to enforce censorship, undertake crackdowns, and in some cases even resort to imprisonment in response to various forms of media activism, the space for labour activists to strive for more empowerment via the media has been considerably diminished despite the widespread use of social media. Photo: Chinese Worker, Mimo Kahir on flickr.com. Clark, Paul. 2008. The Chinese Cultural Revolution. Cambridge: Cambridge University Press. Guo, Yingjie. 2008. “Class, Stratum and Group: The Politics of Description and Prescription.” In The New Rich in China: Future Rulers, Present Lives, edited by David S. G. Goodman, 38–52. London: Routledge. Perry, Elizabeth. 2012. Anyuan: Mining China’s Revolutionary Tradition. Berkeley: University of California Press. Sun, Wanning. 2015. “’Workers and Peasants as Historical Subjects: The Formation of Working Class Media Cultures in China.” In Routledge Handbook of Chinese Media, edited by Gary Rawnsley and Ming-Yeh Rawnsley, 239–249. London: Routledge. Sun, Wanning. 2014. Subaltern China: Rural Migrants, Media, and Cultural Practices. Lanham, MA: Rowman & Littlefield. Sun, Wanning. 2012, ‘Desperately Seeking My Wages: Justice, Media Logic, and the Politics of Voice in Urban China’, Media Culture & Society 34, no. 7: 864–879. Sun, Wanning 2009. 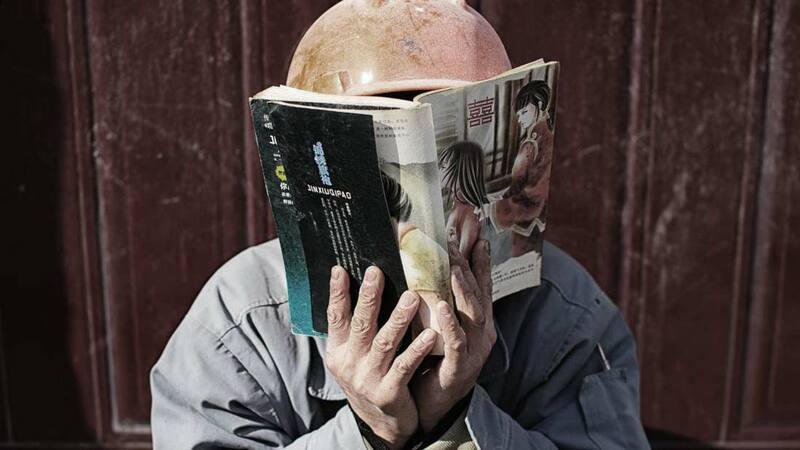 Maid in China: Media, Morality, and the Cultural Politics of Boundaries. London: Routledge. Wallis, Cara. 2013. Technomobility in China: Young Migrant Women and Mobile Phones. New York: New York University Press. Yan, Hairong. 2008. New Masters, New Servants: Migration, Development, and Women Workers in China. Durham, NC: Duke University Press. Zhao, Yuezhi. 2010. 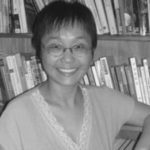 “Chinese Modernity, Media, and Democracy: An Interview with Lü Xinyu.” Global Media and Communication 6, no. 1: 5–32. Wanning Sun is Professor of Media Studies at the University of Technology Sydney. She has conducted ethnographic research about the lives of China’s rural migrants over the past 15 years. Her latest book on this topic is Subaltern China: Rural Migrants, Media, and Cultural Practices (Rowman & Littlefield 2014). She is currently completing a monograph on how inequality impacts on rural migrants’ experience with love and intimacy.